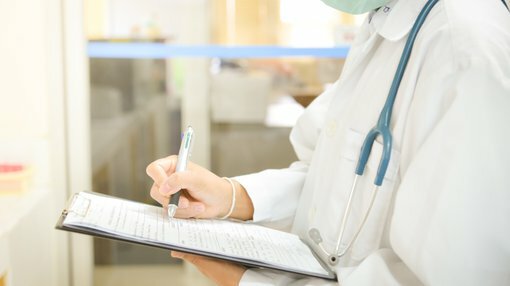 Bionomics Limited (ASX:BNO) has today announced that a Phase 2 clinical trial for BNC210 has commenced in elderly patients with agitation in a hospital setting. The first participant has been recruited into the trial. The global biopharmaceutical company seeks to evaluate the effect of BNC210 on the resolution of agitation in hospitalised elderly patients and assess the safety and tolerability of BNC210. Results of this clinical trial will be available in the first quarter of 2019. Agitated behavioural disturbances in elderly patients is a major clinical problem, occurring acutely in hospitalised patients and chronically in nursing home residents. These agitated behaviours can cause distress for the patient and to other patients, and can interfere with the therapeutic procedures for which the patient is hospitalised. With no approved treatments for agitation, current options include benzodiazepines and antipsychotics which can have severe adverse effects in elderly patients, including sedation, stroke and sudden death. The clinical trial will involve approximately 40 elderly patients in specialist geriatric hospital wards across Australia, and is a randomised, double-blind, placebo-controlled design with a five-day treatment period. Bionomics CEO and Managing Director Dr Deborah Rathjen commented: “Bionomics has entered an important period with the results of two ongoing Phase 2 trials now anticipated near term. Agitation in the elderly, which has an underlying component of anxiety, has significant unmet treatment needs, with only approximately 9% of patients suffering agitation receiving drug treatment. “The hospitalised or nursing home agitation setting represents a rapid potential path to market for BNC210 and builds on the findings of the successful Phase 2 clinical trials of BNC210 in patients with Generalised Anxiety Disorder (GAD). BNO remains a speculative stock and investors should seek professional financial advice if considering this stock for their portfolio. BNC210 is a novel, first-in-class, negative allosteric modulator of the alpha-7 nicotinic acetylcholine receptor. Acetylcholine and the alpha-7 receptor are increasingly being implicated in the symptoms of anxiety and depression. Furthermore, the alpha-7 receptor is highly expressed in the amygdala, which forms part of the emotional centre of the brain. BNC210 has been shown to be well tolerated and not sedating. Clinical trials have shown effects of BNC210 that are consistent with anti-anxiety action, even after a single administration, indicating a rapid onset of action and potential for therapeutic benefit in agitated elderly patients. To date, BNC210 has been evaluated in seven completed clinical trials in over 200 subjects. Recruitment has been completed in a Phase 2 PTSD trial with 193 participants. Bionomics is a global, clinical stage biopharmaceutical company that leverages its proprietary platform technologies to discover and develop a deep pipeline of best in class, novel drug candidates. The company has a strategic partnership with Merck & Co., Inc (known as MSD outside of the United States and Canada).